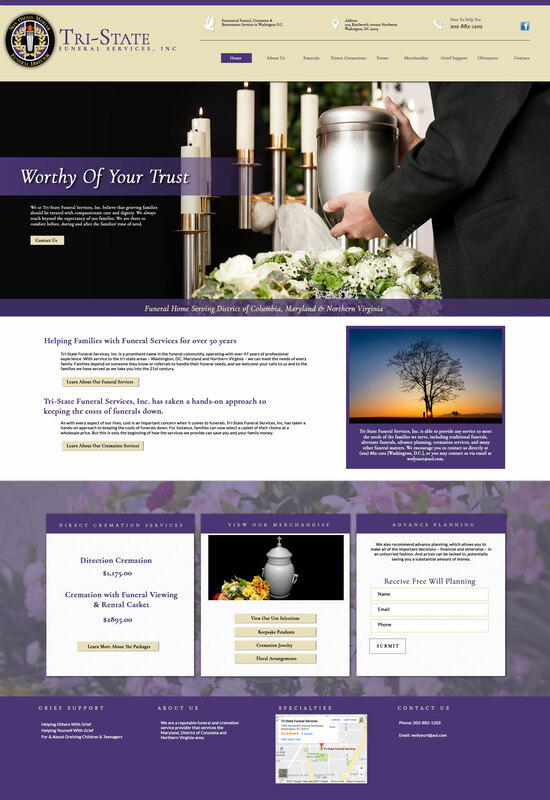 Tri-State Funeral Services, Inc. is a prominent name in the funeral community, operating with over 47 years of professional experience. With service to the tri-state areas – Washington, DC, Maryland and Northern Virginia – we can meet the needs of every family. Families depend on someone they know or referrals to handle their funeral needs. We welcome you to call us as we take you into the 21st century.